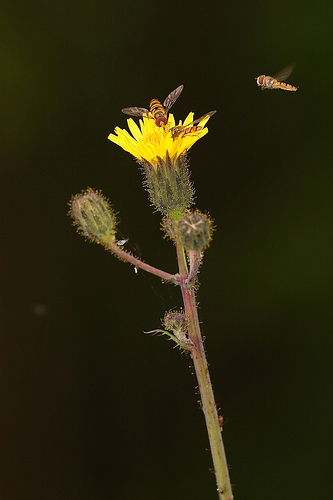 Hoverflies frozen in mid air. This image was taken on a grey, overcast day. Underexposing the shot combined with a light flash gave a nice result. The Hoverly really seems to "hover". Speckled Wood on a leaf in the sun. 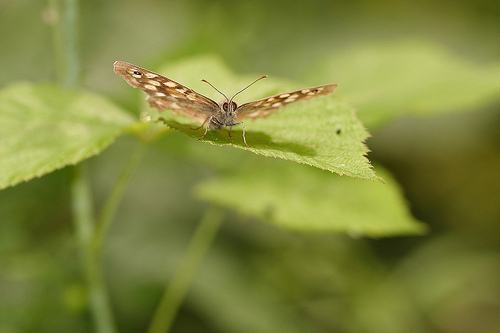 A very common butterfly species in the Biesbosch. I tried to create a more unusual shot of this Speckled Wood while it was high noon on a very sunny day. Using a flash I lightened up the shadows. 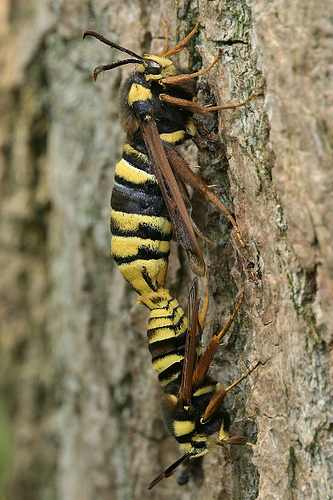 These two Hornet Moths mating is a truely rare site in the Netherlands. They look very much like Hornets, but are in fact butterflies. They imitate the Hornet, so birds leave them alone. 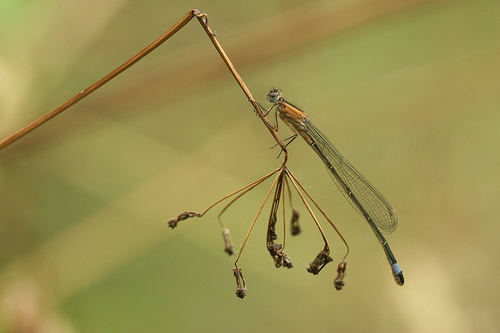 Blue-tailed Damselfly on a dried flower.